During the past twenty years, the average American diet has become substantially higher in saturated fats and trans-fats, and deficient in fruits, vegetables, and whole grains. Meals, snacks, and fast foods consumed by children reflect this trend. For instance, a typical serving of french fries contains more than 13.2 percent hydrogenated oil, and a serving of potato chips contains 39 percent partially hydrogenated fat. Government school lunches have been found to contain more than one- third of their calories in fat, and it’s usually the unhealthy type of fat. These unhealthy fats are taking a toll on the health of American children. Forty percent of five- to eight-year-olds show at least one heart disease risk factor, such as elevated cholesterol, hypertension, or obesity. In the past, arteriosclerosis rarely appeared until after age thirty. Now it is showing up in some children as young as age five. Unhealthy fats such as trans-fats, contained in almost all packaged foods, have been shown to increase cholesterol, decrease the good (HDL) cholesterol, clog the liver’s waste-removal system, and block the assimilation of essential fatty acids. In many foods, trans-fatty acids make up 60 percent of the food, yet they contain less than 5 percent essential fatty acids. Trans-fats are made from hydrogenating (adding a hydrogen molecule) to vegetable oil to make it solid. This process of hydrogenation changes the molecular structure of the fat, making it literally indigestible by the human body. Hydrogenated fats in packaged foods may be a major contributor to the high cholesterol levels found in American children today. These fats also create toxins (ama) in the body, since they do not fit the body’s molecular framework and cannot be digested. They disrupt the natural balance of body, because they do not fit the specific requirements of the digestive system. Hydrogenated and partially hydrogenated vegetable oils are found in almost all packaged goods available at your grocery store, including shortening, margarine, baked goods, candies, chocolate, crackers, chips, cookies, soup mixes, and breads. It’s also contained in deep-fried foods, convenience foods, and fast foods such as french fries. Just because a package is labeled “low in fat” doesn’t mean that’s so. Many foods labeled “low in cholesterol” contain hydrogenated vegetable oils, and thus are actually high in cholesterol and indigestible to humans. Avoid buying these foods. If you must buy packaged breads or other foods, try your local health food store. Many of the foods sold there will contain fats that are not hydrogenated. Be sure to check the labels. 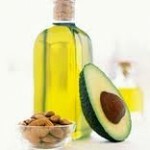 Other types of fats to avoid are oxidized fats. Aged, processed foods contain oxidized cholesterol, oils, and fats, which means that air has been pushed into them during their processing. These foods include meats, sausages, aged cheeses, fried convenience foods, and stored foods. Especially because they are lacking in the antioxidant minerals and vitamins that fresh foods contain, these are the foods that build up fatty wastes in the arteries and create damage. 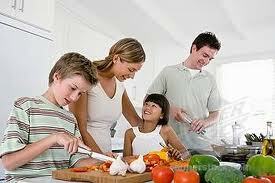 Also, if you serve your child fresh, whole foods you will avoid serving him oxidized fats altogether. Saturated fats, found in large proportions (up to 60 percent) in animal meats, are associated with heart disease, arteriosclerosis, and other health problems later in life. With a vegetarian diet, these harmful fats can be avoided. to grow properly, and this is best provided through mother’s milk, cow’s milk, and ghee. Besides feeding your child’s growing brain, fat is essential for building the bones and muscles. Fats help membrane development, cell for- mation, and cell differentiation. Fat protects against mutations in the cells and contains antioxidants. 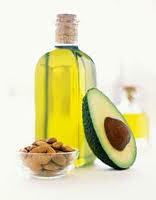 But it’s essential to choose healthy fats that do not raise LDL cholesterol or create other imbalances in the body. As we mentioned above, Maharishi Ayurveda recommends ghee as the most healthy and wholesome cooking oil and as a spread to replace butter. Healthy sources of fats to include in your child’s diet (in moderation) include olive oil, ghee, avocado, nuts and seeds and green leafy vegetables. Remember that when it comes to children, they will be more influenced by what you do than what you say. If you eat foods that are wholesome and fresh, your child will be much more likely to eat a healthy diet, too. First in a series, excerpted from the newly released book Super Healthy Kids: A Parent’s Guide to Maharishi Ayurveda by Kumuda Reddy, M.D. and Linda Egenes, Maharishi University of Management Press, 2010, available at www.mumpress.com.